HARRISBURG – Gov. 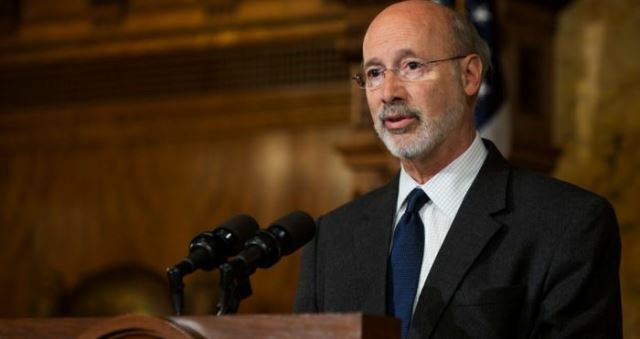 Tom Wolf is reminding Pennsylvanians that the deadline to enroll in 2019 individual health insurance plans under the Affordable Care Act (ACA) is Saturday, Dec. 15. The only place to enroll in individual coverage that begins Jan. 1, and to receive subsidies is at Healthcare.gov. There, you will find health insurance plans that provide comprehensive health care and are required to cover essential health benefits, including outpatient and preventive services, emergency services and hospitalization, maternity and newborn care, mental health and substance use disorder, prescription drugs and lab services, rehabilitation and pediatric care. After Dec. 15, Pennsylvanians must wait until next November to enroll unless they experience certain life events such as marriage, the birth of a child or a move. Information on the various plans available in Pennsylvania and where to seek enrollment assistance is available through the Pennsylvania Insurance Department at insurance.pa.gov. You may also visit Consumers’ Checkbook at PA.checkbookhealth.org to view plan options, estimate monthly premiums and total annual out-of-pocket costs for each plan and learn how to buy a plan. Does this plan cover my pre-existing condition? Are preventive doctor visits covered? How about emergencies? Is maternity and newborn care covered? Are prescription drug benefits covered? Does it cover mental health and substance use disorder treatment? Many Pennsylvanians qualify for a subsidy to offset their monthly premium and assistance is available to help individuals sign up for coverage. “We’re never as prepared for the unknown as we want to be, but you can start by making important choices about your health coverage,” Wolf said.